Usually I’m someone who likes to stay in control. Trying to eliminate the uncertainties and aiming for the facts. However, sometimes I’m in a ‘I don’t care’ mode and allow myself to fully let go. I feel that that’s exactly what the concept of WowTrip is playing at. Trying to get people into that ‘letting go’ mode when it comes to choosing a travel destination. Me and a friend were all up for it! WowTrip is a travel company that chooses the flights and hotel for you based on your budget and preferred travel dates. Destinations include a long list of famous- and less famous cities in Europe. There’s a cost involved discarding any of the destinations from the list, if you wish to do so. 48 hours in advance of your trip you’ll be able to open the documents that tell you what the weather forecast will be at your destination. You can also go for the option to open the travel documents, which include your boarding passes, hotel information and a handy little destination guide. However, if you want to go for the full experience, you wait until you get to the airport before revealing the destination. That’s exactly what we did! 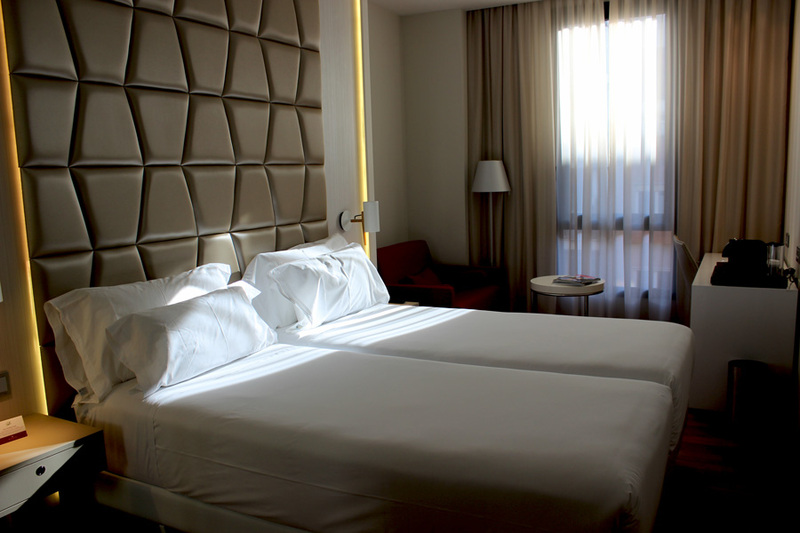 WowTrip sent us to Barcelona, and we stayed at the beautiful, 4-star rated NH Collection Barcelona Pódium. With a spacious room, including a couch, coffee table and a gorgeous rain shower in the bathroom we knew this would become our temporary home-away-from-home. 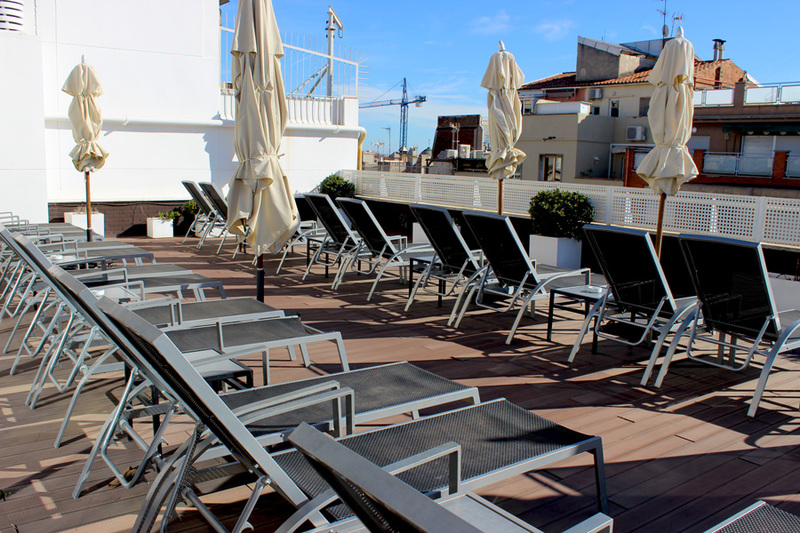 The fact that they had a Nespresso machine in the room and a large sun terrace on the rooftop (with a swimming pool for warmer days) did help of course :). 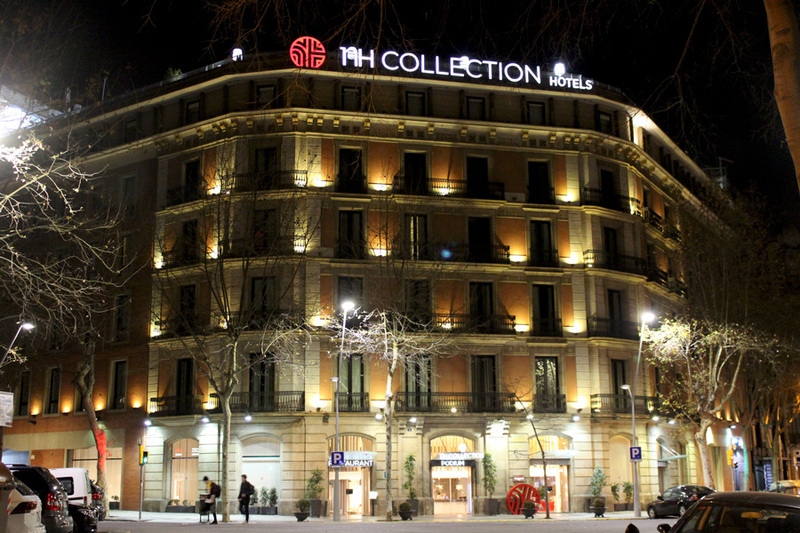 The hotel is situated only a few minutes from Arc de Triomfe and Parc de Ciudadela, two of Barcelona’s highlights. Since both my friend and I had visited Barcelona a few times before, we decided to take it slow and just see where we’d end up that weekend. Usually I’m running around like a headless chicken, trying to see all the highlights of a new city. Our newly adopted approach is one of the most relaxing ways to travel for sure. So once we were checked in and all settled we took to town. The view from the rooftop of our hotel. 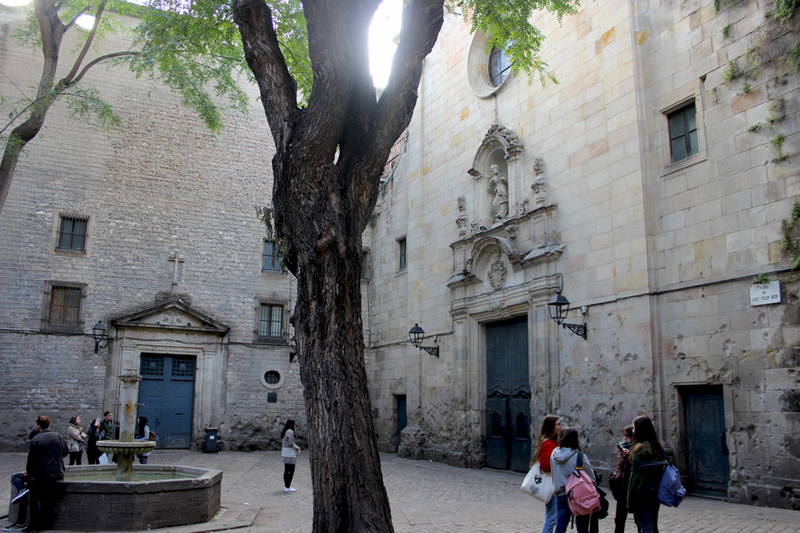 After a delicious tapas lunch in the El Born quarter we headed for the Gothic Quarter. A favourite neighbourhood of the both of us. Without knowing, we had timed our arrival in front of Barcelona’s cathedral impeccably. Just when we arrived, we noticed the Next City Tours tour guides who were about to set off for a tour. So, we put our names on their list, and that was that, we were in for a tour of the Gothic Quarter! 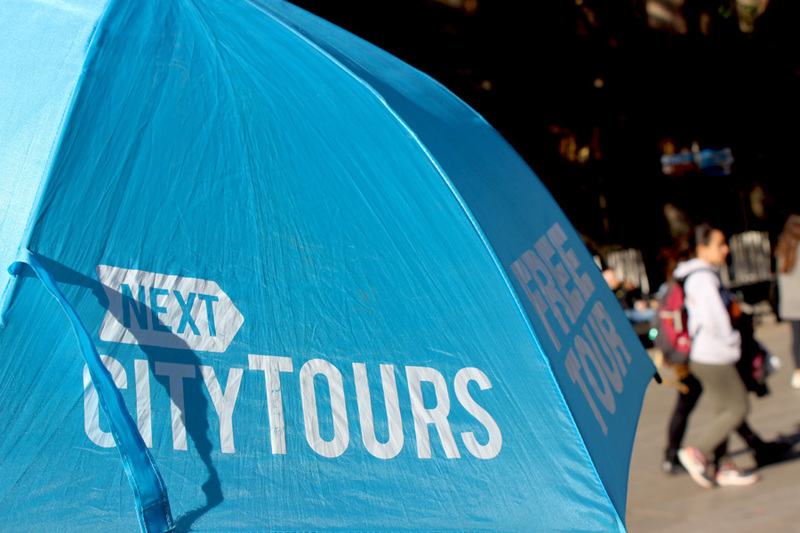 Next City Tours offer free walking tours in a few different cities in Europe. Each tour has a different theme, and you just pay the tour guide at the end of the tour whatever you feel is the right amount to give. Our guide Sara did an excellent job and told us both interesting and quirky facts about the fascinating history of the old town. Our group consisted of a few other international travelers and all taken together made it a great way to spend the afternoon! 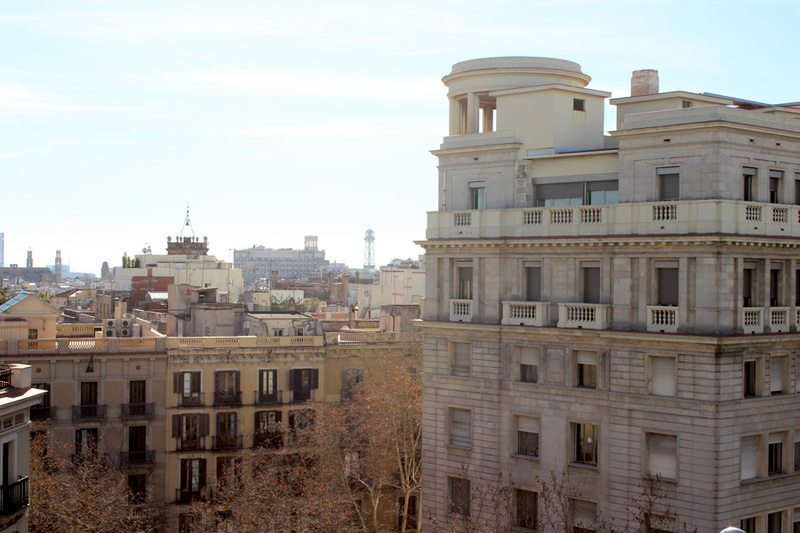 The second day in Barcelona was spent slightly differently. We actually boarded a train that took us out of the city to visit a place which had been on my wish list for ages! 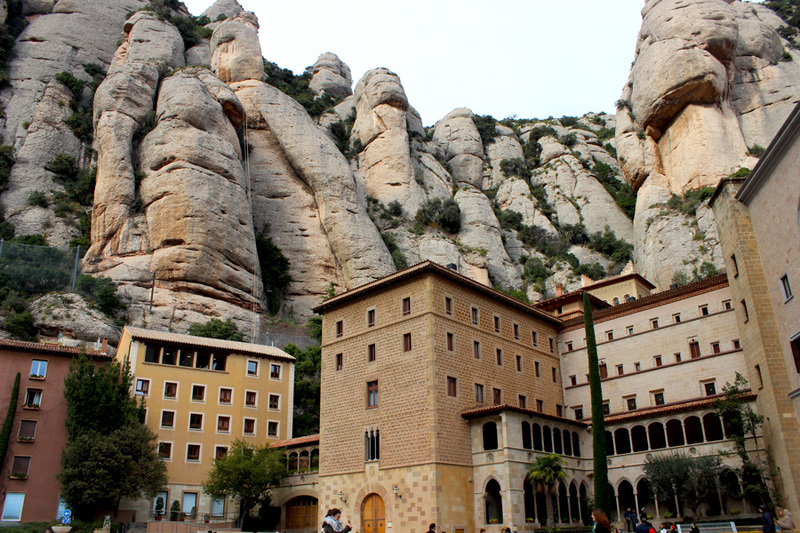 Trains to the incredible multi-peaked rocky range of Montserrat depart hourly from Barcelona’s Plaça d’Espanya station. 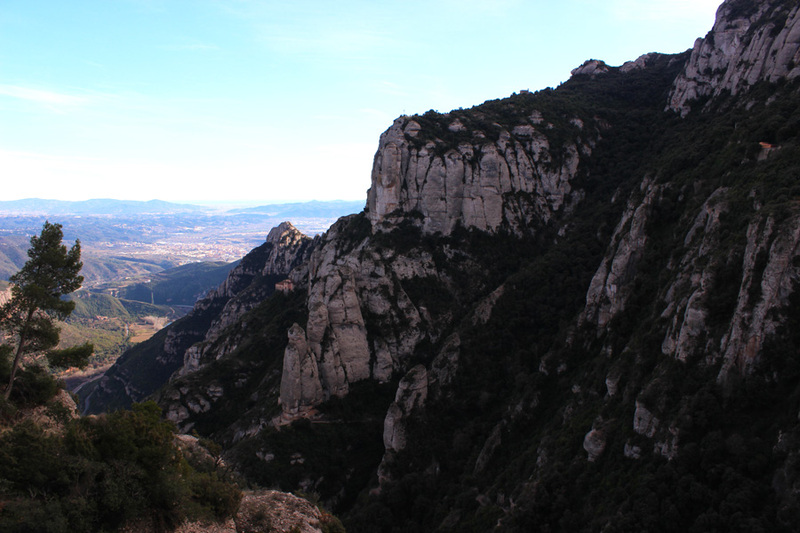 From two different stations in Montserrat it’s up to you to decide whether you take a cable car or the rack railway up to the Benedictine abbey that is situated high up in the mountains. We opted for the rack railway and our journey to the top was incredible with 360 degree views reaching all the way to the Pyrenees. On arrival at the station we immediately noticed that the abbey almost appeared to be built right against the rock formations. My friend and I both saw different shapes in the formations, like if they were man-made. (Have a look in the picture below. Can you see anything in the shapes of the rocks?) However, nothing could be further from the truth. These rock formations have been shaped naturally over millions of years by changes in climate and erosion, we were told. Before entering the actual abbey, we visited the art museum on the site, which has a rich collection of over 1,300 pieces. This includes work by Caravaggio, Monet and Rusiñol. There’re also pieces by Picasso and Gaudí on display. 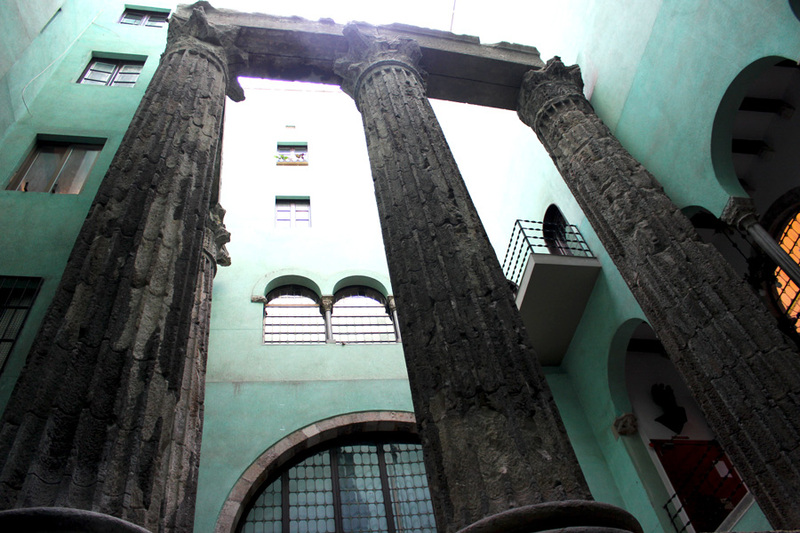 All the art has been collected since the beginning of the abbey, a thousand years ago. We were quite impressed by everything we saw there! 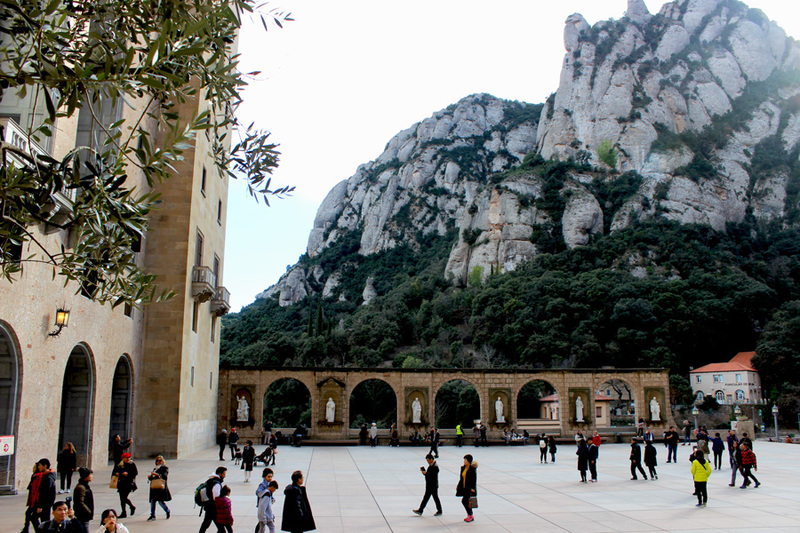 Another highlight of Montserrat is the statue of the ‘Virgin of Montserrat’, one of Europe’s Black Madonna’s. The monastery has become an important place of pilgrimage and seeing the ‘Virgin of Montserrat’ is an important experience for many. 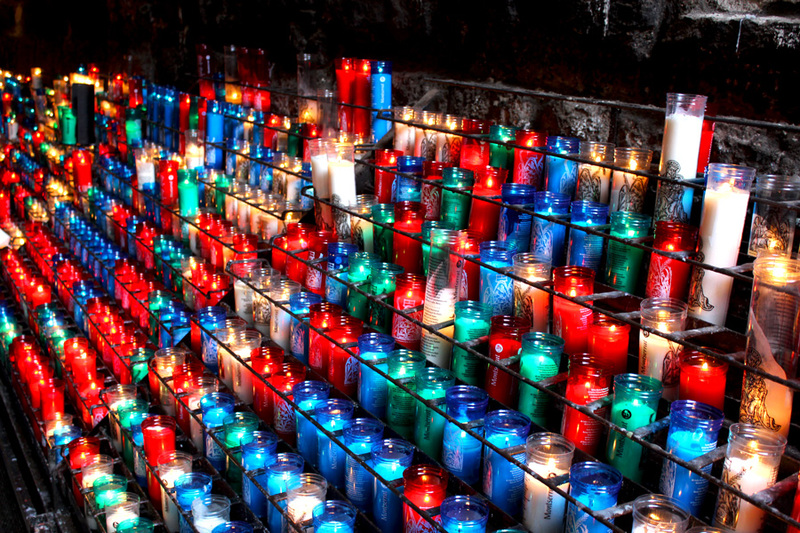 And even though we are both not very religious, seeing and touching (a dedicated ritual comes with it) the statue, as well as lighting a candle at Montserrat’s monastery was an extremely impressive experience. There are plenty of opportunities to extend your stay in Montserrat. 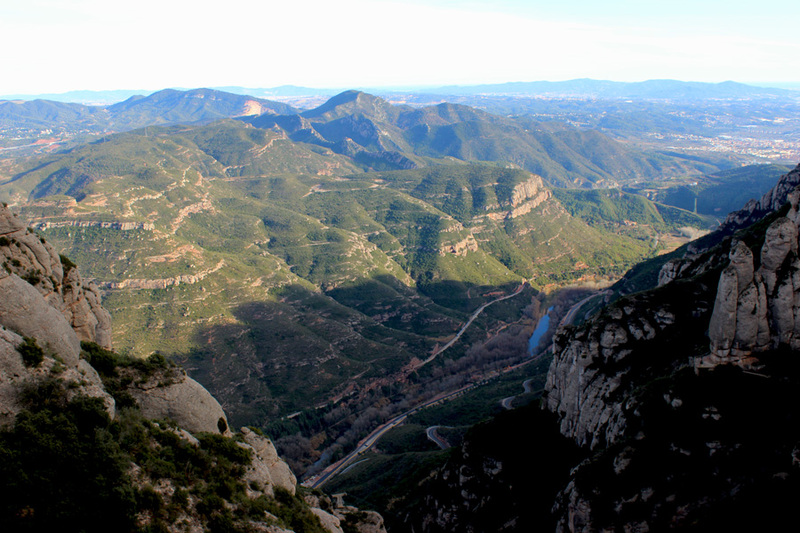 Hiking, rock climbing and visiting the other religious sites close to the monastery are popular activities in the area. Unfortunately, we didn’t have enough time to do all of that, so we made our way down with the rack railway later that afternoon – waving that incredible view farewell. 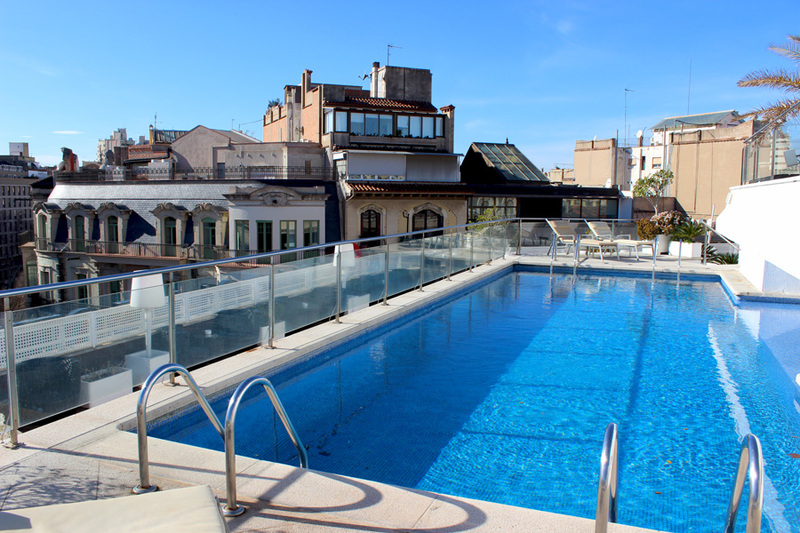 Read on for part 2 of our WowTrip adventure in Barcelona! 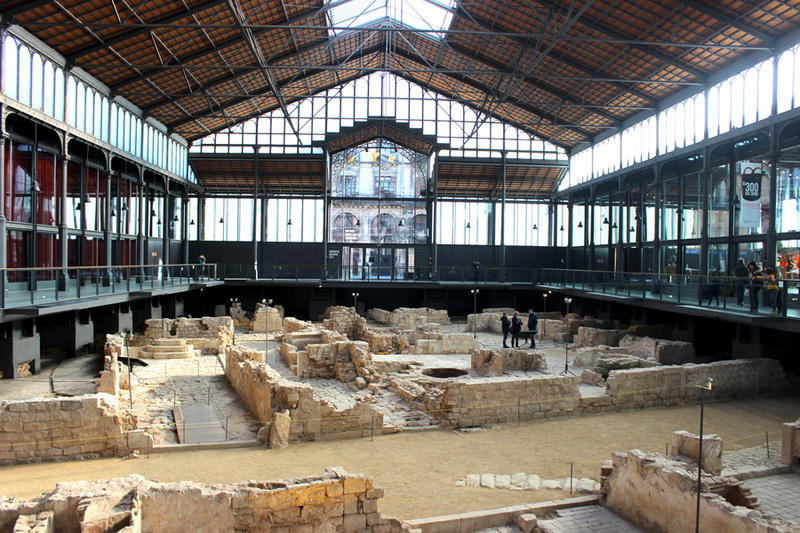 An archaeological site was found in the subsoil of El Born Market. 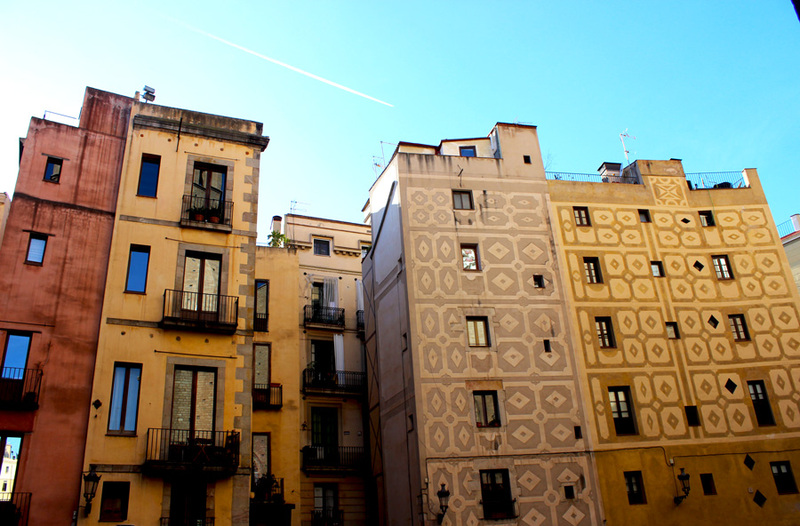 It are the traces of streets and houses of Barcelona in the 1700’s. Many thanks to WowTrip for sponsoring our flights and accommodation. However, all views and opinions in this post are my own. Taking a trip to an unknown destination is a very exciting way to explore the world! We went on an adventure with WowTrip who took us to amazing Barcelona! 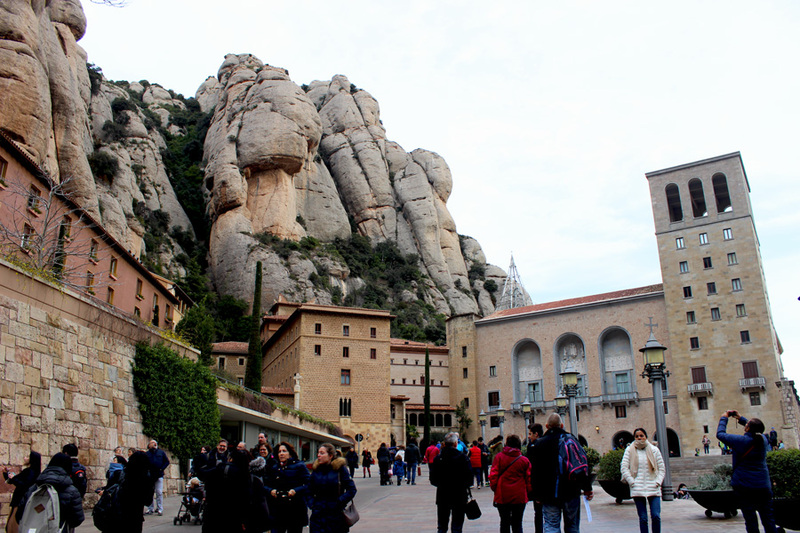 In this installment: Free walking tours and an incredible trip to Montserrat.